SHARMINI PERIES: It’s The Real News Network. I’m Sharmini Peries coming to you from Baltimore. Two reports released this week show that Colombia’s peace agreement between the government and the rebel group, FARC or Revolutionary Armed Forces of Colombia is on the verge of collapsing. The first report comes from the International Verification Commission on Human Rights in Colombia and details how less than 20% of the peace agreement has been implemented more than a year after it was finalized. The other report comes from the United Nations Office for the coordination of humanitarian affairs. This report says that attacks civilians in Colombia have increased by 27% and mass displacement increase by 53% in 2017. Joining me now from Los Angeles to discuss these developments is Mike Prysner. Mike is a producer of Abby Martin’s Empire Files, which is a regular program and on teleSUR. He and Abby Martin spent weeks in Colombia and have made several programs on the peace agreement and the human right situation in Colombia. Thanks for joining me, Mike. MIKE PRYSNER: Thanks for having me. 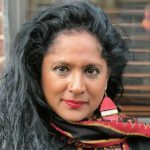 SHARMINI PERIES: Mike, before we get into the hot issue of the peace agreement and the status of it, Empire Files recently presented a report on Colombia in which you looked at the ongoing threats against union leaders in Colombia. According to your report, Colombia is the most dangerous country in the world for union leaders. Who is targeting them and why are these attacks against them increasing lately? MIKE PRYSNER: Yes. Well, first of all, Colombia is a very dangerous place to be a leftist of any stripe. The assassination and murders of social leaders of all stripes have increased in the past year, especially since the peace agreement. Over 170 social leaders have been assassinated since that, but that’s broken down into many categories. There is indigenous rights activists. There is environmental activists. There is LGBT activists. There’s ex-FARC members. There’s ex-FARC combatants. Of course, union leaders is one of just those subcategories within the larger whole of leftist and leftist social leaders being assassinated by both the government and right wing paramilitary group. Union leaders alone, just since the year 2000, there has been over 2,000 union leaders assassinated either by the government or by right wing paramilitaries. That’s more than every other country in the world combined. The issue of the murder of union leaders, it overpasses every single other country situation for labor leaders there. So, it’s different people who are responsible for the assassinations. We’re talking about teacher’s union leaders. We’re not just talking about unions wherein like mining areas who are confronting the big mining powers. Of course, one of the main proponents of assassinations, but if you’re just a teacher demanding workers rights, you’re a target for assassination. By right wing paramilitary groups that seek to control these areas, these paramilitary groups are 100% connected with the government and receive cover and all types of things from the government. For example, if you reported a death threat, this is an extremely high rate of assassination. If you’re a union member and you report that you’re being threatened with assassination by one of these paramilitaries, in 99.9% of these cases, the government will not investigate. So, the government is saying to the people issuing the threats, “you can do it as much as you want. You can issue death threats as much as you want and then we’re not going to try to stop you from carrying out the killing,” which they know is going to be the outcome. It’s a combination of extra legal forces backed up by the legal forces of the Colombian Government. SHARMINI PERIES: Right. Mike, you had the fortune of meeting with some of these people directly affected by these attacks. Who did you speak to and what did you uncover in the dialogue with them? MIKE PRYSNER: We met with a leader of an Afro-Colombian teacher’s union in the Town of Tumaco. There’s a report up on Real News and teleSUR that you can see the interview with that man, but his story was just endemic of every story of union members there. He’s someone who had just returned to Colombia after being an exile for over 10 years because his best friend, they had been receiving death threats just for being leaders of a teacher’s union. His close friend was beaten brutally and is now paralyzed from the neck down. So, when that happened, he fled the country and just recently was allowed to return. That’s a completely common story. Every leftist politician or activist that we met in that country that had people close to them who had either been assassinated, murdered or had been brutally tortured and survived it. That’s just the case in the entire country. It’s a very dire human right situation. And this peace agreement was supposed to be some relief for that but the opposite is happening. In fact, these killings have grown dramatically. In fact, they’ve grown in areas that were once protected by the FARC. So, 60% of these killings of union members and social leaders, 60% of them are in areas that were once under the protection of armed FARC combatants. Now that they’re gone, the right wing paramilitaries kind of have carte blanche to do more of what they want to do. SHARMINI PERIES: Mike, you mentioned the peace agreement and you said that the agreement was supposed to take care of this kind of violence whether it’s towards labor or towards people in FARC and FARC communities. And you’re going to be doing a segment on that in the next episode of Empire Files coming up on the FARC communities that have been demobilized as a result of the peace agreement. Now, as I mentioned in the introduction, both the European Union and, of course, the UN observers are saying that the peace agreement is in danger of collapsing because of the government’s inaction. Now, how do FARC members that you spoke with explain what is taking place and why it’s being derailed? MIKE PRYSNER: Sure. We actually visited these camps that are occupied by people who are once FARC guerrillas. People who had spent 15 years or more in the jungles with guns getting mortared everyday are now in these compounds, communes, really, where there’s a farm, there’s a sandal factory, there’s classes for women to learn to be journalists and learn how to use cameras, and so forth. Visiting these camps and talking to people who had been in a war for more years and I’ve been alive, despite what’s been happening and this is also at the time of the, one of the violations of the agreement was the eradication of coca crops in formerly far controlled areas, which is a violation of the agreement and very detrimental to the peasant communities who are there. Despite all of this and despite the increase and killing not just social leaders, but FARC members, over 30 ex-FARC members have been assassinated by right wing groups and by the government. That’s not included in this 170 social leaders who have been killed. Many of them, FARC members, who were released from prison and then hunted down and killed. Just last month, there were two FARC members who were just campaigning, leafleting for their presidential candidate were assassinated for campaigning. 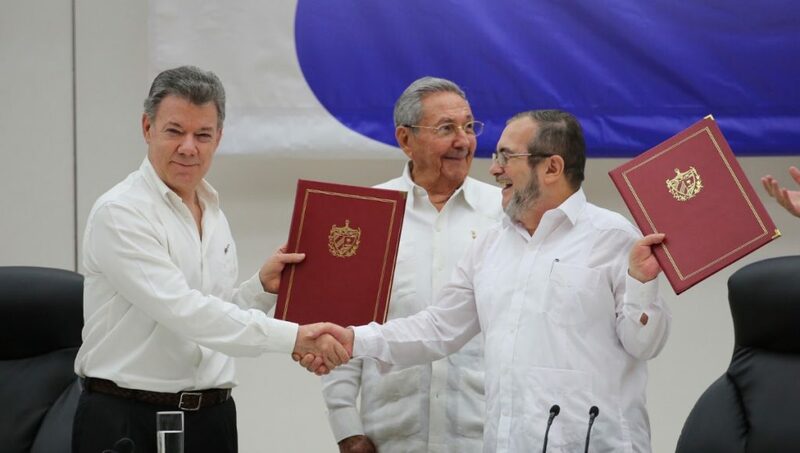 Despite this, there is a great deal of optimism among members of the FARC in the peace deal. I mean, they see it as an enormous victory despite the fact that the government is carrying out all these violations and that it looks like it’s in danger of falling apart and some form or another. We’re talking about a 52 year civil war where the goal of the government, I mean, this civil war started because they had no other choice. They are being massacred by the government anyway. People thought, “Well, if we’re going to be massacred by the government for demanding our rights, you might as well be able to defend ourselves,” but in that entire 52 year period, the goal of the government was not to reach a peace agreement, was not to work out any kind of deal. The goal of the government was to eradicate and exterminate every member of the FARC and maybe put in jail the ones that they allowed to live. I have to remind people that in the 80s, they tried to form a political party. Members of the FARC and those sympathetic to the FARC tried to form a legitimate, a party to run in elections that was unarmed, didn’t advocate armed conflict, and to hold the patriotic union. All of them were massacred by the government. About 5,000 members were killed. They just tried to kill every single person in the party. The only people that survived had to flee the country for a decade or more. And so, now this is the next attempt to do that. When Uribe came into power, before Santos, before the peace agreement, they were like, “Now, we are going to finally end the civil war and we’re going to finally end the civil war by exterminating the FARC.” And so, the fact that they came out of that period, unphased, not exterminated, not all in jail, when Santos came in in 2010, they essentially, the government was forced into a peace agreement because the FARC was able to withstand this decades long campaign of attempted extermination. SHARMINI PERIES: Right. There was a lot in the peace agreement that was about the transition of FARC members from being fighters to having ordinary lives including having crop transitions, including training and development for some of the FARC members so they could lead normal lives. Is any of that happening? MIKE PRYSNER: I mean, that’s actually one of the biggest areas where there’s such a main problem. When people think about the civil war in the country, they don’t realize that it’s very regional, right? I mean, you have in the urban areas and in the cities, there’s not a lot of support for the FARC because there’s no contact with them, but in the areas that we visited, the vast countryside and jungles of Colombia, these areas are completely pro-FARC. You see FARC signs everywhere. This area is where the civil war was so difficult for the government to crack on and because they simply couldn’t get to these areas, logistically, to be able to carry out a task. And so, in these areas, these are extremely poor, impoverished areas. They rely completely on farming, and for the most part on coca crop farming. When we visited these areas, this is where a massacre just happened where the police forces came in and massacred coca farmers. The deal is supposed to protect those people and allow them to do crop substitution, but every single one of them said, “We would not be growing these crops if we had a school here that would teach us to do something else. We would not be growing these crops if there’s opportunity for our kids to go into the cities and go to a university.” And so, this need for infrastructure, this need for poverty relief programs is really at the forefront of this. Of course, there has been FARC members who were able to be reintegrated into society and get immunity for being a so called terrorist in the country, but in all of these areas that were once not under FARC control but pro-FARC regions, they’re in desperate need of infrastructure, of investment. And the Colombian Government, much like the United States Government, their investment is only in corporations, profit making institutions and the very, very rich 0.1% of the country. So, regardless of the mechanisms of the deal or the things that are promised in the deal, it really comes down to that core issue. That the Colombian Government, the government that’s out for the interest of the super rich and their corporations and US Corporations, and that’s coming into conflict with the need to provide the relief that’s necessary in the areas that were once in open armed rebellion against the government. SHARMINI PERIES: Right. Now, two things too in this segment with Mike, what happens if the situation deteriorates? What would it mean in terms of the FARC camps and will they pick up arms again and start fighting? Also, in the process, if you could answer the question of why the government is neglecting the implementation of this agreement. MIKE PRYSNER: Right. Well, that’s a complicated one. The Santos Government, right now, they are hated by many sides. Uribe’s Party, the Far right, he is being portrayed as handing the country over to the FARC. “You gave the country over to terrorists,” that’s the public opinion and mass fear of politics, but I don’t think the government, really, was ever interested in upholding the terms of the peace deal. They just wanted some kind of deal to say that they disarmed the FARC. From Santos’ position, he is the one that disarmed the FARC in a longest running civil war. The longest Marxist armed group in Latin America has been taken down by the Santos Government. That was the headline he was going for, but in terms of actually giving dignity, and real justice, and a real dignified deal was, I don’t think it was ever in their plan. I think that the FARC members are completely committed to this new process. This process of running an election democratically. They don’t expect to win the next presidential election. The head of the FARC, Timochenko is the presidential candidate. I don’t think they expect to win the presidency, but there’s an extreme amount of excitement in just being able to, for the first time, be a part of this democratic process, talking about their views openly and just be able to handout leaflets with their information on it without being killed. Although, that’s happened to some extent. I think they’re extremely committed to this process, but the presidential election is coming up this year. Also, the Far right party is running and could possibly win. The party of Uribe, the fastest party that wants to exterminate the FARC. And so, whether or not this deal stays in place under Santos, that’s a one question, but the next question is, who is going to win the presidential election and what’s going to happen with the deal then? It is possible that the far right party could win the next presidential election, scrap the deal and then go on another extermination campaign of the FARC. But I think if that happens, we’d be in a similar situation. The FARC, even though they have completely disarmed, they’ve gotten rid of all of their guns, the UN has been very diligent about making sure all of those guns are taken away and destroyed, and that all of their areas now are completely disarmed, but the FARC was only able to survive for its 52 year civil war and able to get guns. Think of the logistics it takes to get that amount of ammunition and food and support to remote places in the jungle. The FARC is a popular fighting force. It has popular support, not just in Columbia but elsewhere. If there’s ever a moment where the Colombian Government decided to go out in all out war again against the FARC, I think in a very short period of time, the FARC would be able to be mobilized again, armed again, and carrying out operations again. I think that would be a big mistake for the government because it’s been shown over the past more than 50 years that they cannot defeat the FARC, and that’s the only reason that they agreed to a deal in the first place. It’s because they are being humiliated year after year. SHARMINI PERIES: All right. Mike, I thank you for now. I know we’re looking forward to watching the segments of Empire Files that we will also air here on The Real News. I look forward to that and thank you so much for joining us today. MIKE PRYSNER: Thank you, Sharmini. Mike Prysner is an Iraq war veteran. He is also the producer of The Empire Files with Abby Martin. Will Public Banking Free LA From Wall Street?